Now at famous Bunker Hill, Even though we lost, it was quite a thrill. The rebel Colonel Prescott proved he was wise. Outnumbered and low on ammunition, As the British stormed his position, He said, "Hold your fire till you see the whites of their eyes." The 13 American colonies fought for independence from British rule to become the United States. The first shots rang out on the morning of April 19, 1775 in Lexington, Mass. At the Battle of Bunker Hill, colonial officer William Prescott ordered, “Do not fire until you see the whites of their eyes!” His troops had the courage and discipline to hold their fire until the enemy was near, an early sign that the rag-tag American army had a chance at defeating the well-trained, well-armed British troops. Congress chose George Washington as commander and chief of America's armed forces. The Battle of Saratoga was the first great American victory of the war and is widely believed to have been the turning point that led America to triumph over Britain. The Treaty of Paris was signed in 1783, and Great Britain acknowledged America's independence. The treaty established a northern boundary with Canada and set the Mississippi River as the western boundary. Most wounds were caused by musket balls or the bayonet. In cases where the bone was damaged so severely that a limb could not be saved, the surgeon performed an amputation without the type of anesthesia or sterilization we know today. In proceeding with an amputation, officers received rum and brandy when it was available, but for enlisted men a wood stick to bite down on had to suffice. Two surgeon's mates would hold the patient down on the procedure table. A leather tourniquet was placed four fingers above the line where the limb was to be removed. Then the surgeon used his amputation knife to cut down to the bone of the damaged limb. Arteries were moved aside by tacking them away from the main area with crooked needles. A leather retractor was placed on the bone, and pulled back to allow the surgeon a clear field of operation. Then the surgeon chose his bone saw, a small one to remove arms and a large upper femur saw to remove a leg above the knee. A competent surgeon could saw through the bone in less than 45 seconds. Arteries were buried in tissue skin flapped over and sutured. Bandages with pure white linen cloth and a wool cap were placed on the stump. The patient, who had more than likely gone into shock and had a much lower than normal temperature, was stabilized when possible. Only 35% of the persons who went through this procedure survived. 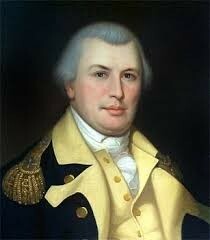 In 1781, Nathanael Greene fought the famous British General Lord Cornwallis. Greene knew he had to be clever. He was commander in chief of the southern army, but he knew that Cornwallis had far more soldiers than the Americans. How could he fight an army that was bigger than his own and expect to win? Ever hear the phrase "divide and conquer?" General Greene forced Cornwallis's troops to split up and fight in two different areas at the same time. Thanks to Greene's plan, the British retreated from Cowpens, South Carolina, to the city of Charleston, South Carolina. Later that year, General Cornwallis surrendered to Greene's good friend, General Washington. Stark gained historical notoriety due to her husband's battle call of "There are your enemies, the Red Coats and the Tories. They are ours, or this night Molly Stark sleeps a widow!" before engaging with the British and Hessian army in the Battle of Bennington. Stark is also known for her success as a nurse to her husband's troops during a smallpox epidemic and for opening their home as a hospital during the war.